It’s bad. Very bad. Germany is currently experiencing its hottest June and July ever, and temperatures in the last few weeks have rarely been below 33°C (91°F), sometimes reaching nearly 40°C (103°F). German offices and appartments, as a general rule, have no air conditioning – because we’ve never had the need for it – and there is therefore neither rest for the weary nor escape from the sweat. So here I am, trying to come up with a bird post when my thoughts are orbiting around ice cream and ice cream only. Which means it is time for some birding philosophy. Remember my post on Great Egrets last month? If not, it is here. Well, I must confess that I’ve been lying a bit in that post for the sake of a punchline. I was still telling the truth when I mentioned the four subspecies, species, taxa, forms, you name it, of the Great Egret: modesta (Asia), alba (Europe, Asia), egretta (Americas) and melanorhynchos (Africa). But then I mentioned their field marks, and you might have noticed that I simply used the same four general descriptors in a different order to highlight just how similar all forms are. Very funny, I know. Did I mention it was already very hot here in June? Anyway. Of course the separation of the forms by field characters is a bit more advanced than my little joke there suggested, and while things still apear a bit dodgy with modesta, the separation of the American egretta from at least the Eurasian form alba seems to be resolved quite well. This is particularly interesting for birders in North America and Europe (duh! ), since both species/forms may very well show up as vagrants on the wrong side of the Atlantic, and indeed there have already been reports of egretta from Atlantic islands off the coast of Europe (not sure if alba’s been claimed for North America). How then could such a vagrant be identified? Easy: legs, bill, size. egretta is slightly smaller than alba, although there is overlap in measurements. The first distinction is between absolute and relative field marks. This is easy. Absolute field marks between two similar species describe a difference that can be judged definitely by looking at a single bird. Examples are white eyes versus black eyes, red underwings versus yellow underwings and so on. Relative field marks put the one species of the pair in relation to the other, e.g. longer legs, brighter red on mantle and so on. When I am assessing a significant observation and am testing my own reliability after the fact, I find that absolute field marks are by far more useful than relative characters. No matter how excited and delirious I was, even I can’t mistake white eyes for black eyes. Therefore, if the bird certainly had white eyes, the ID is nailed. Relative field marks are by far more difficult to assess. In frenzy mode, it might be very hard to judge if legs are “long” or “longer” or a bill is “bright” or “brighter”, especially on single birds. But even if we find a bird within a flock of others, and the bird clearly is “brighter”, “smaller”, etc. this may still be an effect of individual variation. Therefore, an observation of a rarity whose identification was entirely based on relative field marks may be something worth not reporting to others if there is no proof. Regarding the Great Egrets mentioned above, two of the three field marks are relative (size and bill colouration in non-breeding plumage) and are therefore of very little use. The second divider is between what I’ve labeled “one-way” or “both-ways” field marks. 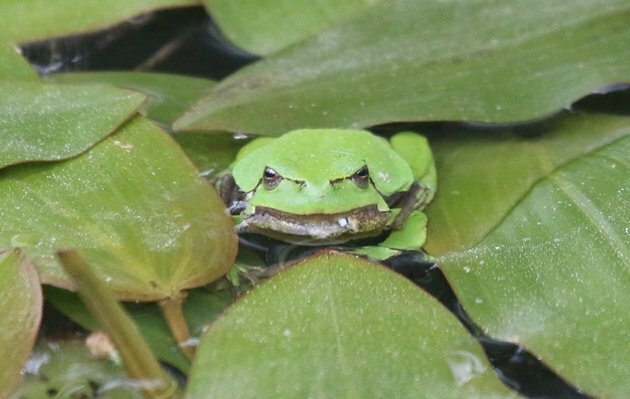 This means in essence that a certain feature may be diagnostic for one species, but the lack of the feature does not necessarily mean it’s the other one of the pair. There are several reasons why a field mark may be more reliable or usable one way than the other way around, but the main factors are exclusiveness and observation circumstances. 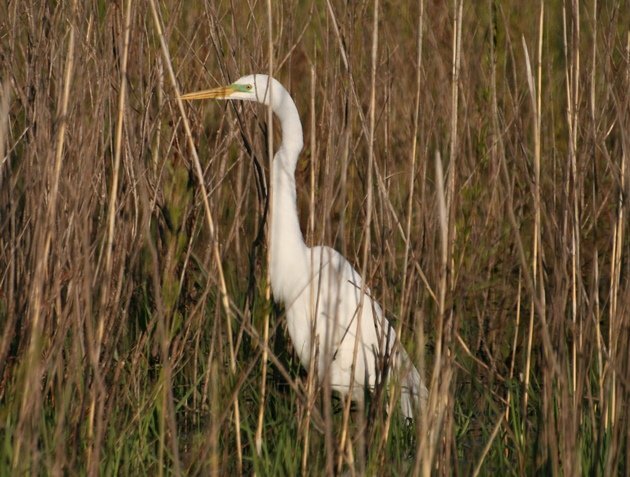 In the example of the Great Egrets, a bird with a black bill in North America – no matter what the season – will be a very strong contender for alba. However, even if I find a yellow-billed bird in Europe at a time when the local breeders have black bills, I cannot be entirely sure it is an egretta since alba also shows a yellow bill at certain times of the year and the bird could thus simply be hormonially challenged. Bill colouration therefore is a one-way field mark that’s useful in North America but rather pointless in Europe. The same applies to leg colouration: If a North American birder clearly sees a bird with yellowish upper legs, they can be sure they have a very good candidate for a European alba. Why? Because egretta never has a trace of paleness on the upper legs, making it difficult to argue for this feature simply being the result of extreme individual variation. Now we look at the other case, a European birder clearly sees a Great Egret with entirely black legs. How certain can they be that they are looking at an egretta? Not at all, that’s how. Because the amount of paleness on the upper tibia varies during the course of the year, so who knows? There may very well be extreme individuals where the pale is restricted to such a tiny spot that it is nearly impossible to see. A lack of paleness is not a unique and exclusive feature: some birds have more extensive pale areas than others. The other reason why field marks may be “one-way” roads are the circumstances. This can also be illustrated nicely with the leg colouration of the Great Egrets. There is no realistic scenario in which a tibia that’s really black may appear to be pale due to the circumstances of the observation. However, an upper tibia that is pale in reality may very well and easily appear all-black, since it may be the result of dirt – not too unusual for a bird that wades through muddy waters. Or the observer didn’t see the bird well enough (light, distance) and a pale upper tibia therefore simply appeared to be black. On the other hand, being so far away from a bird that a uniformely black leg appears to show a contrasting pale upper tibia is something that’s just not going to happen. And there you have it: a one-way field mark. 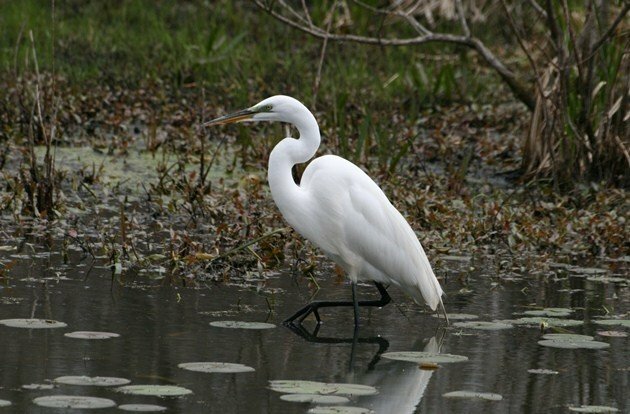 All Great Egrets shown in this post are American egretta, in case you were wondering.